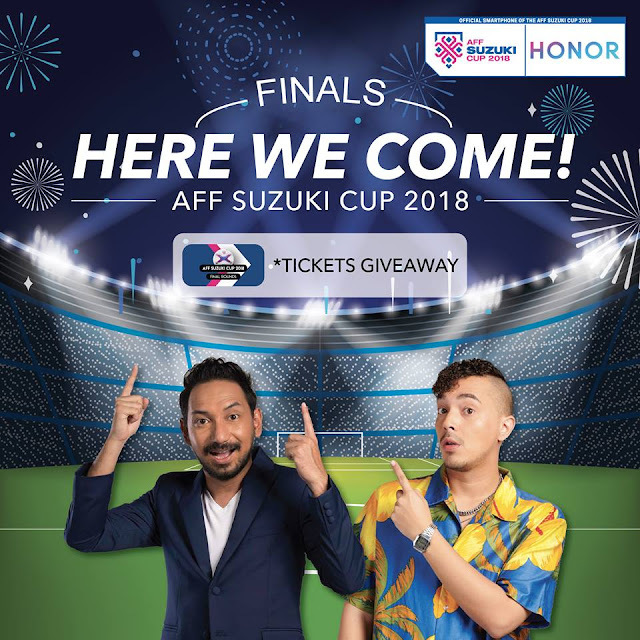 HONOR, the leading global mobile e-brand and official partner of the AFF Suzuki Cup 2018, announced today that it will be celebrating the national team’s success for making it to the finals by giving out 15 PAIRS FREE TICKETS to the AFF Suzuki Cup 2018 finals, happening this 11 December 2018 at the Bukit Jalil National Stadium, Kuala Lumpur. Being recognized as the only smartphone partner, HONOR is calling out all Malaysians to show their patriotism by participating in a simple social media contest on HONOR Malaysia’s Facebook page here, and stand a chance to personally witness the national team in action during the finals! Those who are keen to witness the glory and cheer on for team Malaysia should wait no more as the social media campaign is ending on the 9th of December 2018. For more information about HONOR Malaysia and its innovative products, please visit HONOR’s Official E-Commerce Website or drop by their Official Facebook Page at for other exciting updates.